Shane Dawson has been on the internet since YouTube was first created. He has been through numerous controversies throughout his years, however, over the past few years he has overcome those. Especially in the last year and a half, Dawson has done multiple mini-documentary style series covering several important topics. 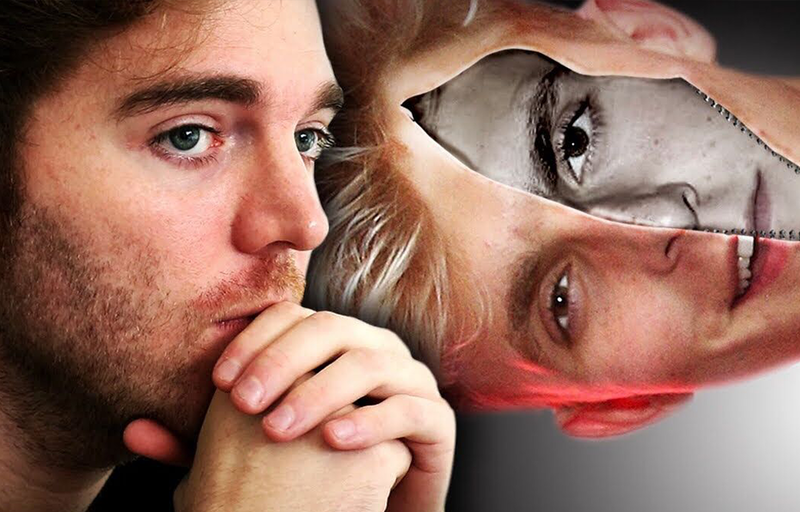 This includes a series he did reuniting with his father and two other series delving into the lives of Jeffree Star and Jake Paul. These series discuss mental illness and the dark side of people’s pasts. His series are often seen more as TV online rather than a typical YouTube video. He has definitely impacted 2018. Shane and his artwork for his Jake Paul series. Ariana Grande has been through many struggles the past two years. She has dealt with the Manchester bombing, a breakup with Mac Miller and Miller’s death, her engagement break off with SNL Star Pete Davidson, and multiple other issues. On the other hand, she has empowered herself and many others through her music, helping everyone get through difficult times. Her recent single, “Thank u, next” preaches self-love and kindness. This is a step forward for Grande in 2018. Ariana posing for a photoshoot. This past summer, Crazy Rich Asians came out. The movie was about a love between a couple and dealing with the hardships of meeting in-laws and being accepted into the family. The movie included many traditions within Singapore and also showed a few East-Asian traditions. This movie also had an all-Asian cast, which is rarely seen in Hollywood. It felt very empowering for many East-Asians who rarely see themselves represented in the media. This was a progressive moment for Hollywood and for the cast. Crazy Rich Asian’s cast posing for a photo together. 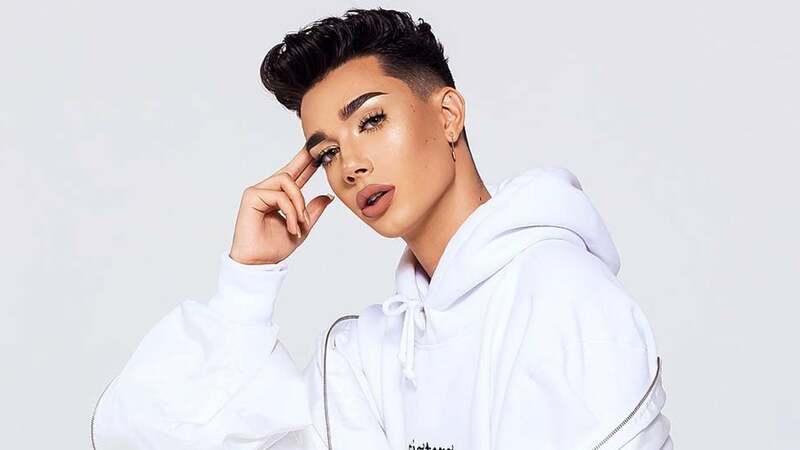 James Charles is a famous makeup artist on YouTube. He was the first Cover Boy for Covergirl and he has empowered numerous men to follow what they love. Charles has been breaking gender norms and stereotypes. He continues to set trends and pursue his dreams. Charles’ large following adores him for doing what he loves, overcoming struggles, and encouraging others. James posing for a photo. Kpop has been a large industry for many years. However, it was not prominent in the United States. Not until BTS won “Top Social Artist” at the 2017 Billboard Music Awards, following many other awards in the U.S. soon after. Ever since then, more people are becoming accepting of the Korean culture and language. Not only that, BTS has worked with United Nations International Children’s Emergency Fund (UNICEF) in their “Love Yourself” campaign. This followed their release of three albums preaching about self-love, with 3% of the physical sales income going towards the organization to help children in need. They also donated 100% of the sales of official goods sold for the “Love Yourself” campaign. The group continuously donates to help the hungry and poor. They have continued to share the message of love with Americans throughout 2018. BTS posing for a Billboard photoshoot. 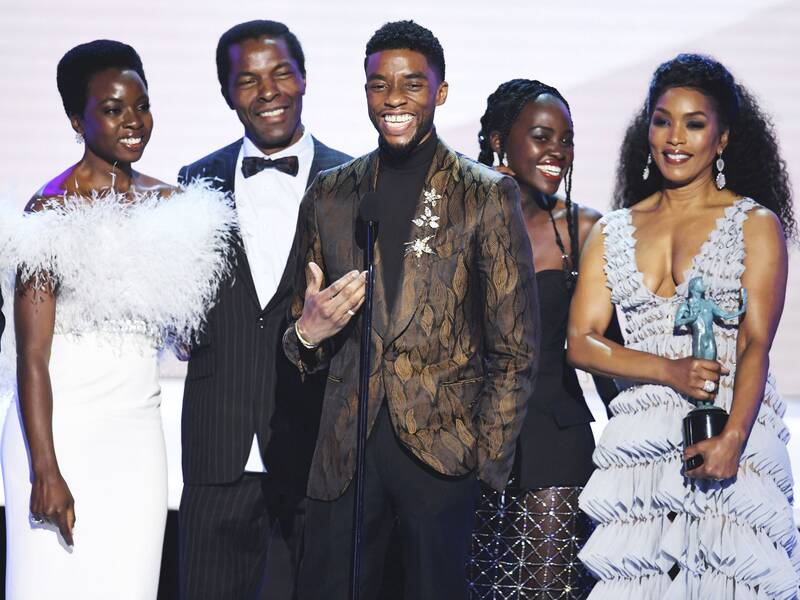 In Early 2018, the movie Black Panther was released. The movie has an entirely black cast, with the exception of Martin Freeman and Andy Sersik, and shows a few of the traditions of African tribes. The movie also features a black superhero, which is not seen much in the media, if at all. This movie has encouraged many people to be proud of their race and to love where they come from. The movie also shed light on multiple significant topics that can be uncomfortable to talk about, such as the treatment of Africans/African-Americans in the past. The movie uplifted the black community and gave them an extra spark of confidence. The 2018 Winter Olympics were huge this year. Not only did it feature multiple Korean artists in their performances, but records were broken. 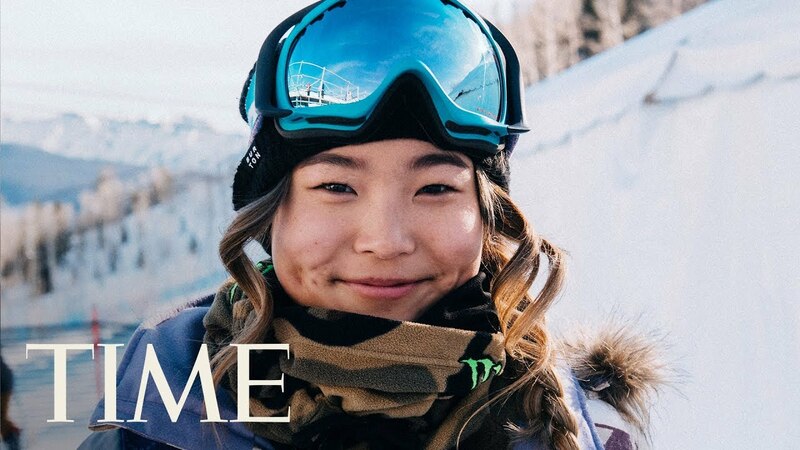 A big one was for Chloe Kim, an 18-year old Asian-American woman. She was the youngest woman snowboarder to win an Olympic medal at age 17. She won in the women’s snowboard halfpipe. This was a big moment not only for young women but also for Asian-Americans who need to see the representation. This was truly a big moment in 2018 to many. Chloe smiling for a photo with TIME. Ellen has been extremely influential for years. She has paid for peoples’ college tuitions and she has presented numerous people with amazing opportunities. 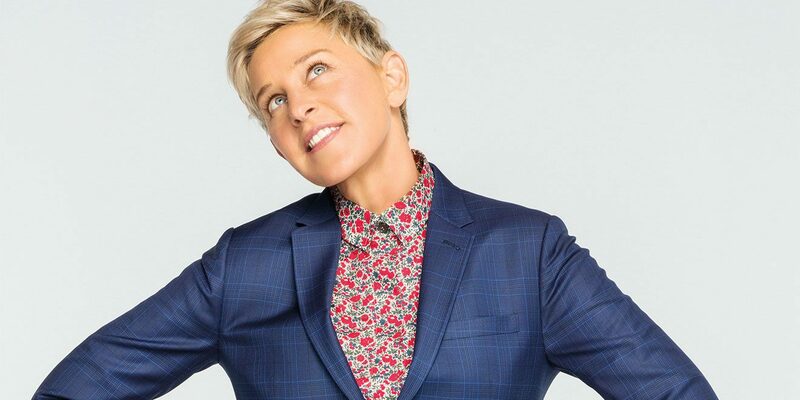 Degeneres has also helped victims of California’s multiple forest fires. On her show’s 13th anniversary she donated roughly $50 million to charities and people who are in need. Degeneres donated another $3 million to St Jude’s Children’s Hospital and The Humane Society after taking her famous selfie at the Oscars. Samsung promised to donate $1 for every retweet since her phone is Samsung. Not only has Degeneres donated, but she is always showing examples of compassion and understanding. Ellen smiling during a photoshoot. At the beginning of 2018, Drake released his new music video “God’s Plan”. This video takes place in Miami, Florida. He donated $25,000 to Miami High School after filming the video at the school and their football field. Then, he went to Miami’s Sabor Tropical Supermarket where he paid for $50,000 worth of groceries for at least 50 people. He continued on to the University of Miami where he gifted junior Destiny James $50,000 and donated another $50,000 to a homeless shelter in the area. Drake has been trying to promote kindness and selflessness to all of his fans around the world. Drake posing for a photo. Shannon Adams is a biology teacher at Martinsville High School. For multiple years, she has helped out with Leo Club. Leo Club is a club for students to partake in volunteer work throughout their community. 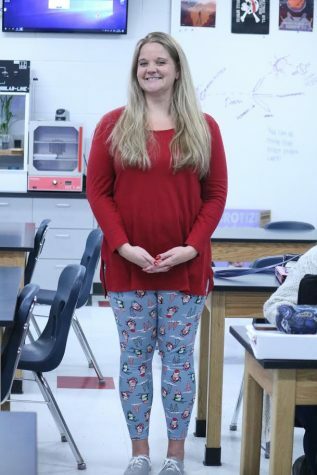 Not only has Adams helped with this charitable club, but she has also helped many of her students with any personal issues they may have going on. Her classroom has always been a safe area for students and many feel that they can speak to her about their problems. Adams is someone who many would say has made an impact on her community in 2018. Mrs. Adams posing for a photo.